They certainly did not last long around here…coffee and chocolate are two things we love! I even took some to my CASA training and gave them out to the ladies I volunteer with. BTW, if you’re interested in volunteering or donating to a wonderful organization that helps children and families involved in the court system check out CASA. These cupcakes were well received by everyone but be warned…they are very rich!! I will probably leave out the ganache filling when I make them again. The chocolate cake recipe is from the Jan/Feb 2012 edition of Food Network Magazine. Preheat over to 350 degrees and line cupcake pan with liners. 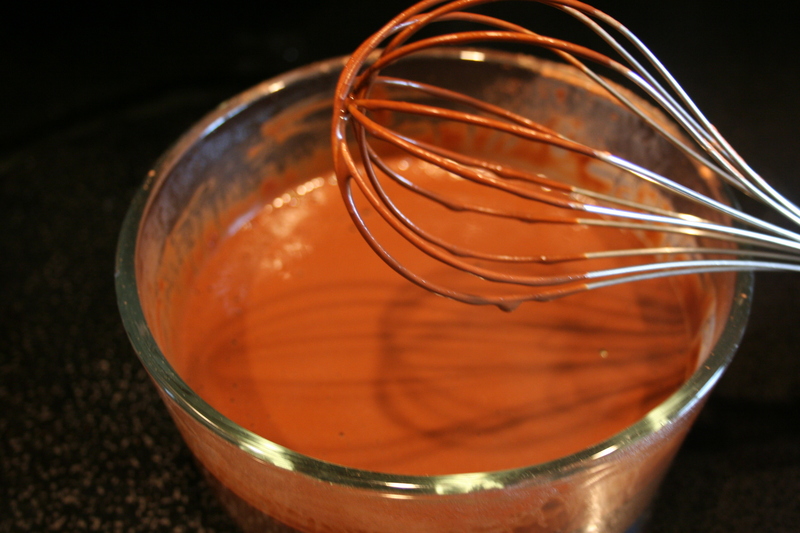 Whisk cocoa powder and 1 1/2 cups of boiling water in a medium bowl until smooth. Set aside. Whisk flour, sugar, baking powder, baking soda, and salt in large bowl. 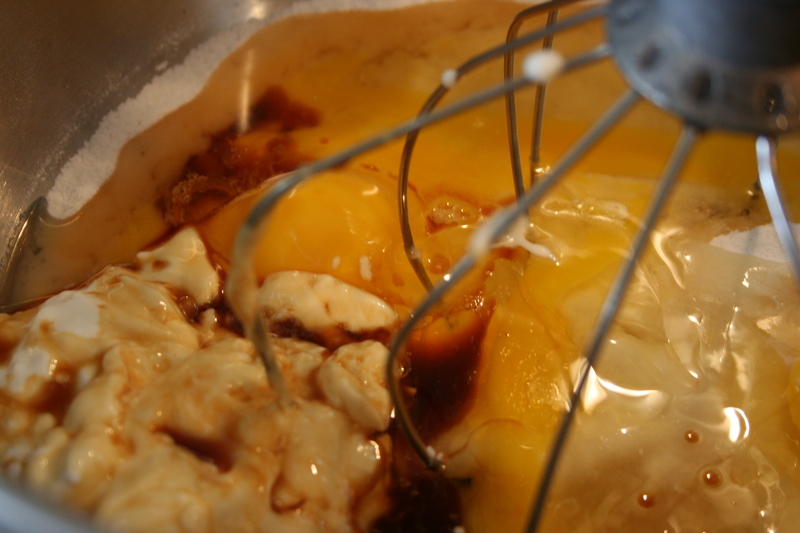 Add eggs, vegetable oil, sour cream and vanilla and beat with a mixer on medium speed until smooth. Reduce mixer speed to low and beat in cocoa mixture in a steady stream until just combined, then finish mixing with rubber spatula. Divide the batter between 24 lined cupcake tins. Bake 15-17 minutes or until toothpick inserted in the center comes out clean. Chop the chocolate and place in heatproof bowl and add instant coffee granules. Heat the cream until simmering and pour over chocolate. Let this sit for a minute, then stir until smooth. Add butter and stir until combined. While the ganache is cooling, use an apple corer or pairing knife to cut the centers out of the cupcakes. 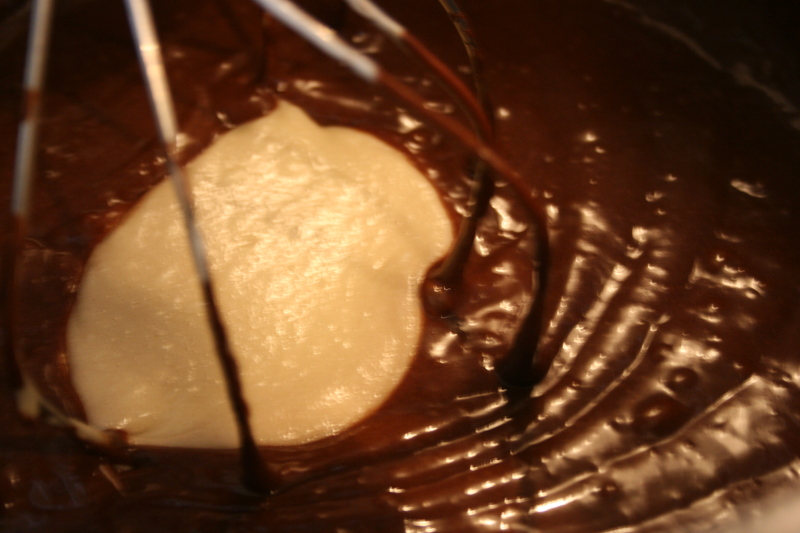 Once ganache has cooled, spoon into a piping bag or ziplock bag and cut off the end. Squeeze the ganache into the holes and fill to the top. Whisk butter in bowl of electric mixer until fluffy. Slowly add powered sugar a few tablespoons at a time. Once the frosting looks thick enough, drizzle the espresso in and whip to combine it. If the frosting is too thin add more powdered sugar. You do not have to use all of the powdered sugar, just add enough for it to be thick enough to spread. I ended up using all of the powdered sugar and more because I didn’t let my espresso cool enough (Remember I told y’all I’m very impatient at times). 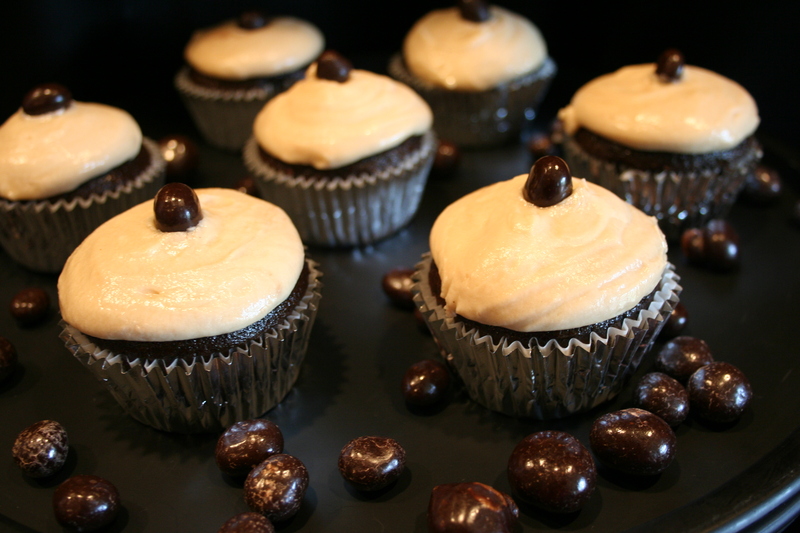 Ice the cupcakes and decorate with a chocolate covered espresso bean!